The USSF (United States Soccer Federation) needed a wake-up call… and boy did they ever receive one. 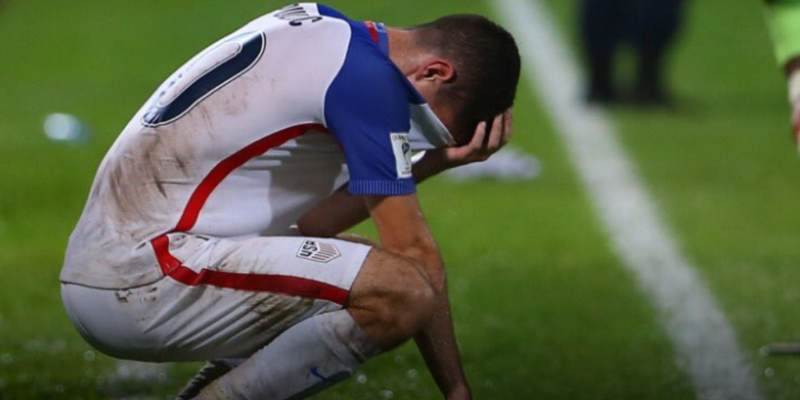 On Tuesday night, a perfect storm of ineptness and shock occurred — as the United States Men’s National Team lost its final World Cup qualifier to tiny Trinidad and Tobago by a score of 2-1. The defeat, coupled with wins by Panama and Honduras, knocked the USMNT out of World Cup contention. It will be the first time since 1986 in which the United States will not be a part of the globe’s most significant tournament. This piece will attempt to delve into the intricacies as to why this happened. Warning: it will not be for the faint of heart. Let us begin with the current player pool. Of the 20 outfield players from this past squad, 10 of them are age 30 or older. Only five players were under the age of 25. Traditionally a side rooted in quickness and pace, this current USMNT team looked old and uninspired. The reliance upon the “old guard” impeded the potential emergence of other players. Jozy Altidore, Michael Bradley, and Tim Howard were shoe-ins for the starting lineup despite playing mediocre football over the past year. 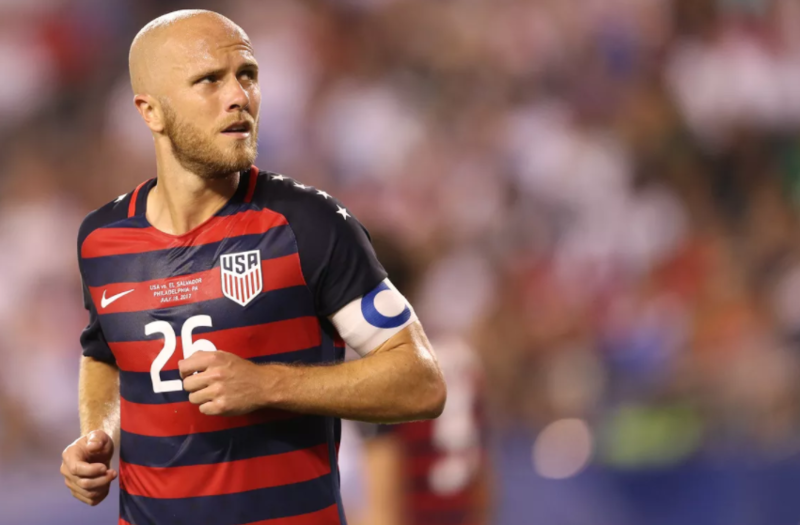 The bench was littered with questionable selections — namely Chris Wondolowski, Dax McCarty, Graham Zusi, DeMarcus Beasley, Nick Rimando, Brad Guzan, Alejandro Bedoya, and Benny Feilhaber. Manager Bruce Arena has never been known as a progressive manager — nor has he been one to take any sort of risk. As a result, he put together an MLS-heavy roster of players he had been familiar with. The team in general played with a lack of inventiveness, and an archaic directness only seen in the bowels of lower division, less-skilled European leagues. 19-year-old Christian Pulisic is without question the best player in the program. Hell, he’s on track to become the best American player ever produced. The United States scored 17 goals during the World Cup qualifying cycle. Pulisic — whether it was a goal or an assist — was involved in 12 of them. He’s truly a transcendent talent, and one in which the youth across the country can emulate. With that said, he’s in desperate need of some help. 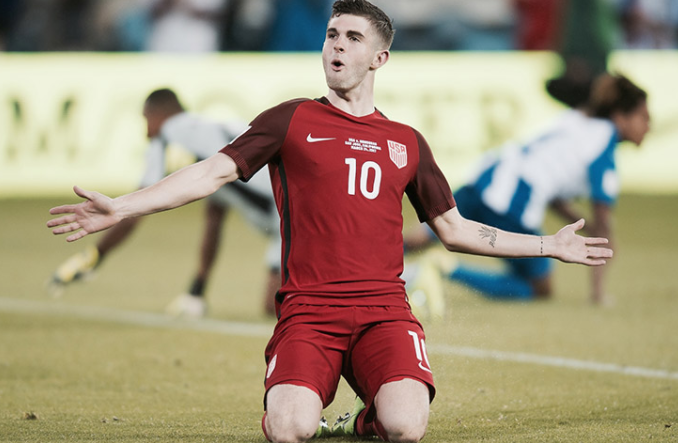 Pulisic needs like-minded creators in the center of the pitch to link with. The duo of Altidore-Bobby Wood up top simply cannot work together — as both are far too similar in nature. Garnering enough width on the flanks has also been a massive issue. Fabian Johnson is out of form, and may be ending his career with the National Team sooner than later. Other than that, the team lacks even average wing play. This current National Team program has more resources, funding, and money than it’s ever had before. The country’s domestic league (MLS) is setting records for attendance and viewership within the United States. We’ve got a greater collection of young talent in Europe than we’ve ever had. However…we couldn’t qualify for the World Cup — instead losing to an island nation with a population (1.3 million) smaller than Phoenix. Bruce…you’re operating with a twisted, distorted view of reality. This was the most embarrassing (and damaging) loss in the history of the program. “Crazy changes” should be DEMANDED at this point. We are significantly below-average when it comes to developing young players in the United States — particularly when it comes to the rest of the World. Some attribute the disproportion to our culture — as American football, basketball, and baseball have traditionally been more popular sports. This isn’t the case virtually anywhere else. However, our gigantic population indicates this theory to be inherently flawed. Uruguay is a nation with a current population of roughly 3.5 million people. Los Angeles County alone houses more than 10 million Americans. Yet, this tiny South American country has won two World Cups. Even with a large chunk of the youth participating in other sports, we should have enough to field a competitive squad. To put it into a larger perspective, Iceland recently qualified for the World Cup — besting European competition in arguably the toughest qualifying process. Population-wise, Iceland is the size of Corpus Christi, Texas and Anaheim, California. The question persists: why aren’t we earning success at the highest level? One can point to MLS — which truly isn’t considered a top league. The competition level simply isn’t up to par when compared to the likes of England, Germany, Spain, Italy, the Netherlands, France, and other countries. This does account for the lack of sharpness and technical prowess pertaining to those plying their trade domestically. Unequivocally, the single biggest issue stunting the growth of success soccer-wise in this country is the developmental aspect. We simply do not have the educators in place to teach the true fundamentals of the game. Other countries have spent tons of money in setting up youth academies — where players as young as six can go to school, and essentially be groomed as professional players. This includes proper instruction from both a technical and maturity standpoint. The United States simply doesn’t have that luxury for those at such a young age. A player in the States at 10 or 11 years of age likely won’t understand the game at the same level as a seven-year-old in Belgium or Denmark. There are knowledgeable trainers and coaches residing in the States. However, there’s a collective saturation of these individuals in specific geographic areas — rather than dispersed evenly within the sport. Across the board, an enhancement in credible training is imperative for the future growth of our young players. The “pay for play” model is a disgusting money-making sham. Those in the States are led to believe that the only path towards earning a college scholarship or an opportunity abroad is to play club soccer. Parents of these youngsters spend thousands of dollars annually to send their children to weekend tournaments. Simply put, this premise strips away the organic integrity of the sport. It also happens to feast upon the socioeconomic divide in this country. Though a player’s potential value should be based upon their talent on the field, the opposite seemingly happens. Instead, a family’s income level often determines whether a child can play at an advanced level or not. 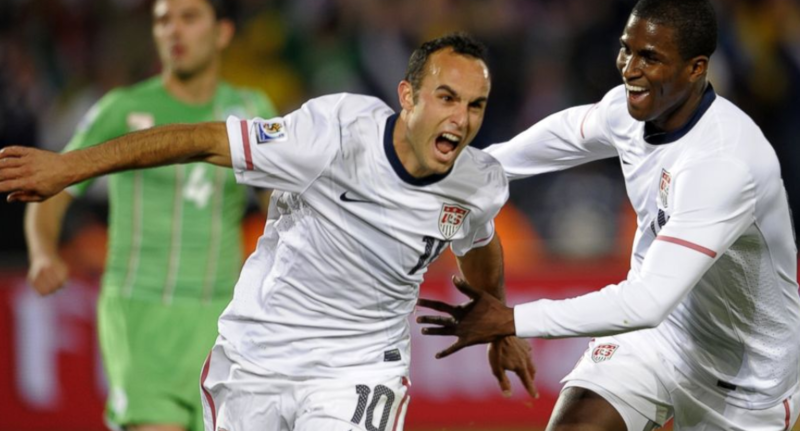 The next Landon Donovan could currently be living in the south side of Chicago, or in El Paso, Texas. However, he may never get the chance to realize his vast potential. The grassroots efforts in both predominantly African-American and Hispanic areas is grossly lacking. This leads to thousands of quality players falling through the proverbial cracks. It also waters down the talent pool tremendously from what it could ultimately be. For a talented player coming from an impoverished area, there’s simply a lack of opportunity and visibility. Marcelo — one of the world’s best defenders — grew up in a notoriously dangerous Rio de Janeiro slum. Edinson Cavani and Luis Suarez are considered two of the best strikers in this current generation. Each came from the same small mountainous village in Uruguay. There are countless examples of professional footballers emanating from abhorrent economic conditions. None of them had to “pay to play” the sport. Rather, they grew up playing in the streets, and in parks with their peers. Marcelo, Cavani, and Suarez are all products of local academies cultivating their respective talents. Normally, each city will have multiple teams backed by the clubs in the said city. These youth sides will then benefit monetarily once the bigger clubs gobble up promising prospects. MLS has made tremendous strides in creating youth academies — which then act as essentially feeders into the professional club. We also have youth setups without any sort of affiliation to a professional team. These youth clubs don’t garner any sort of monetary gain once their products move on to professional clubs. A rapid overhaul must occur in terms of incentivizing development. These institutions need to reap the fruits of their work. A revamping of the MLS stranglehold over youth clubs truly could foster greater development across the board. In many cases, development in non-MLS-affiliated youth clubs is far greater than its counterpart. For young players wanting to make the leap across the pond, landing with an MLS club — whether on a professional or youth level — crushingly limits the opportunity to do so. We are truly in need of an open market model. 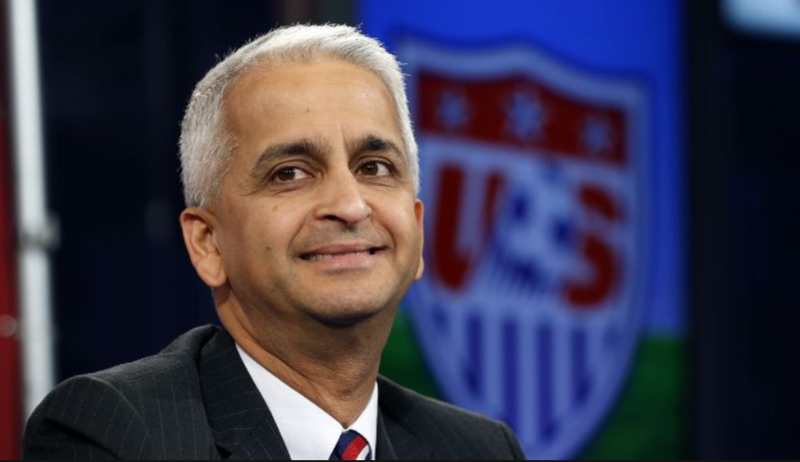 Lastly, we get to USSF President Sunil Gulati. Gulati, do us a favor…resign. Any other self-respecting footballing country would have cleaned-house after the shambolic buffoonery of Tuesday night. None of the world’s powerhouses would stand to accept the current spot in which the USMNT finds itself. As an example, Germany finished dead-last in its group during Euro 2000. The country went through an extensive overhaul which included building 52 soccer-centric centers and 366 regional coaching bases. It also hired 1,300 full-time professional coaches to teach the youth the true basics of the game. Duly, the German Football Association worked hand-in-hand with every level of the sport — starting with the Bundesliga. Cultivating an organizational plan allowed German football to flourish — as we saw in the 2014 World Cup and in this current generation. Germany recognized a system problem in its fundamental way of operating, and thus acted accordingly. While it’s foolish to believe the United States will immediately churn out players such as Thomas Muller, Mats Hummels, Manuel Neuer, Mesut Ozil, Julian Draxler, and Toni Kroos, a plan must be put in place immediately for the long-term health of the program. Much like Arena, Gulati is operating under a pretense. It’s somewhat frightening to see the most significant individuals in the United States’ soccer pyramid displaying a level of obliviousness to this magnitude. A most fascinating time for the direction of the program will come in February — when Gulati’s current four-year tenure is slated to end. As an elected position, Gulati could opt to run again — which would signal the final four-year window in which he could be President. Though he ran against no competition in the past, ESPN is reporting that a number of individuals are expected to throw their hat into the ring — including USSF board member John Motta, entrepreneur Paul Lapointe, Boston attorney Steve Gans, and former professional footballer Eric Wynalda. The “scariest” proposition for the anti-Gulati crowd is Carlos Cordeiro. The former Goldman Sachs executive is currently the Vice President of the USSF under Gulati. Conventional wisdom suggests Cordeiro functioning quite similarly when compared to his boss. Regardless of whether Gulati is back or not, wholesale changes must occur. Arena was always a stop-gap for this cycle — though he did nothing more than to make supporters of the side gag. The prudent thing would be to bring in a manager without any ties to the United States. Ushering in fresh ideas technically and strategically should be the goal. In addition, hiring a full-time technical director to act as a buffer between the President and the manager would be ideal. The director would be in charge of calling up players for matches and camps, evaluating the said pool of players, and hiring coaches at all levels of the program. Essentially, he’d be what a general manager would be to an NFL or NBA franchise. Above all else, player selection MUST see some change. The urgency to qualify for the World Cup resulted in a utilization of veteran players as opposed to younger ones with higher ceilings. With no World Cup possibility until 2022, now is the time to experiment with young talent. There’s simply no need to call in the same roster for every single friendly or tournament. The USSF should be scheduling as many friendlies as possible to garner young players valuable international experience. It’s time to see the likes of Kenny Saief, Ethan Horvath, Matt Miazga, Weston McKennie, Jonathan Gonzalez, Jesse Gonzalez, Lyndon Gooch, Tyler Adams, Cameron Carter-Vickers, and Brandon Vincent. There’s been an air of vociferous arrogance permeating throughout the program. We saw it on Tuesday night, as the team truly thought it could walk into the match and come away with a World Cup berth. Simply put, the United States isn’t as good as it thinks it is. They’ve made it to the knockout stage in two-straight World Cups. It’s taken equal parts grit, guile, dogged determination, and athleticism for this to occur. However, it was a bit of fool’s gold when looking at the bigger picture. The lack of development from a young age has caused a group of players to possess subpar technical abilities. We thought we could challenge the big boys in the World, though at this point we’re clearly behind both Costa Rica and Mexico in the hierarchy of CONCACAF. We’ll have the occasional outlier (Donovan, Pulisic), but this is not a recipe for success. Systemically, things must change immediately. The ego must be stripped away — as we are not good enough (yet) to function with such a brashness in this sport. We must build from the ground up if we want to sustain long periods of success at the highest level. Developing talent the right way is integral going forward. No longer can we opt to “develop” players based on size and speed. It must be inverted — to rather first focus on skill level and headiness. The loss to Trinidad and Tobago will go down as one of the worst days in the history of American soccer. As the sport continues to grow exponentially, a major opportunity has now been lost. Sports Illustrated intimated that the fan base within the country has grown from 59 million to 79 million (34-percent) from 2010 to 2016. 78-percent of Americans aged 12-to-17 consider themselves a fan of the sport — which is a higher percentage than the NFL (59-percent), the NBA (44-percent), MLB (42-percent), and the NHL (28-percent). Most impressively, 120 million people in the United States tuned in for World Cup games in 2014. 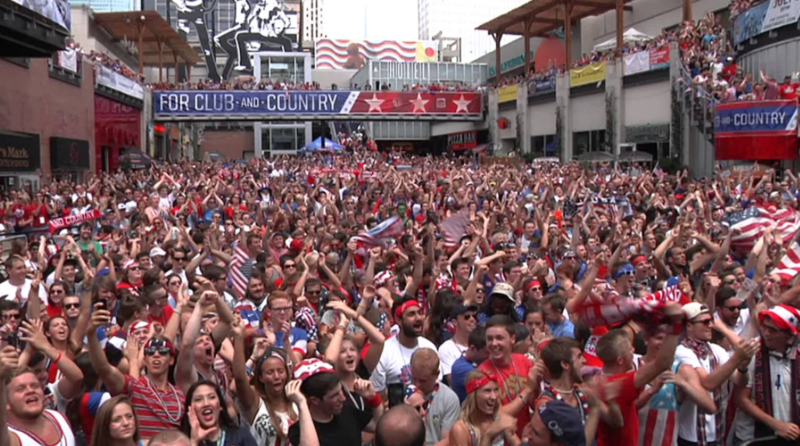 With the United States out of the tournament, the casual fan likely won’t tune in. Within that same token, the children of the casual fan — who could be turned onto the sport with a fantastic performance from Pulisic — won’t have that opportunity. The World Cup is the grandest spectacle in the sport. It provides a chance for young kids across the country to learn and love the sport. In turn, this will lead to the next generation of players on the National Team. In these formative years, those same children could opt to play a different sport solely based upon the unavailability of seeing the USMNT feature. While we won’t know the lasting impact of this embarrassment for quite some time, it could ultimately cause an adverse ripple effect.